The increasing difficulty of technical challenges has influenced to a crisis of human resources who can meet the requirements of projects across the globe. PMP certification offered by PMI is composed of strict standards and continuing research to enable you to attend the real-world challenges of organizations. I am quite slow in learning, the concept of the project management plan was getting a little tough for me. 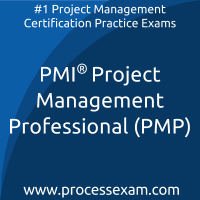 But by practicing on the PMI Project Management practice questions gave me the boost i needed to clear the exam. It is quite necessary that these PMP questions are practiced upon as they hone the skills required to clear the exam at the very first attempt. You can easily pass PMI Project Management (PMP) Certification with the help of our online practice exam. We are here to help you every step of the way to pass your Project Management Professional exam. 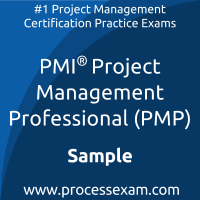 Our team of experienced and certified professionals with more than 12 years of experience in the field of Project Management has designed practice exam to prepare for PMI PMP certification. They have carefully maintained exam structure, syllabus, time limit and scoring system same as the actual PMI Project Management Professional (PMP) exam. Our PMI PMP question bank contains most frequently asked and real-time case study based questions prepared by collecting inputs from recently certified candidates. To get familiar with our online PMI Project Management certification practice exam environment, we invite you to try our sample practice exam to build the trust between us.